We Are a Center for Education on Cannabis. Here at SOHAI we strive to break down the stigma against cannabis. We provide education on cannabis, alternative resources, and rules and regulations for patients and caregivers in Michigan. We also host a free once a month cannabis education class with a different topic each month! Along with educating folks on cannabis, we like to keep patients updated with the most recent MMMP Laws and Regulations. It can be hard to find this information online so we like to make it easily available for people to read and inform themselves. Cannabis is known also as marijuana and has dated back to thousands of years. 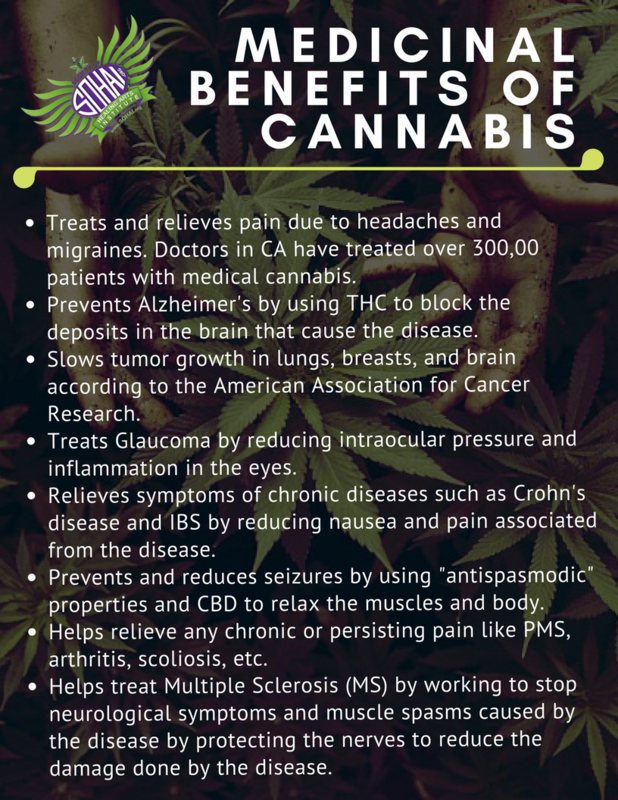 This plant, which is processed and prepared with the intention for a psychoactive drug or medicine, provides a wide variety of relief to conditions like pain, nausea, muscle spasms, seizures, etc. These medicinal benefits and psychoactive effects are derived from the female cannabis plant, not male, and have varying levels of cannabinoids in each strain. Over time and increased use, the effects and feelings of cannabis becoming lighter and less prevalent.